Reduce energy costs by shading homes in the summer. Evaluation and pruning for tree safety and health: Large conifers require lightening to allow less wind resistance and to improve circulation and allow more sunlight. When a large tree is fully pruned, it is also inspected for safety. Pruning for health and disease resistance. Maples, oaks, and other leaf trees enjoy pruning to lengthen their life and resist disease. If fruit production is desired, then good pruning will maximize that: When appropriate, treatment and feeding of nutrients is recommended. Removal of hazardous, dying, and crowded trees: Our team has undertaken many difficult and safety-challenged projects requiring the utmost of skill. Pruning for aesthetics, curb appeal, and to enhance home and property value: Good pruning draws out the individual beauty and eye appeal of your trees. We have added resale value to homes many times over the cost of our project, helping realtors and property managers with their business requirements. We will "define and separate" your trees, affording you a beautiful landscape. Bert's Tree Service will help to preserve your trees professionally and with an affordable cost through regular maintenance. Our tree care strategies will help keep the life in your trees for years to come and help them fight off tree disease. We will diagnose, treat and maintenance all species of trees you require serviced safely and efficiently. 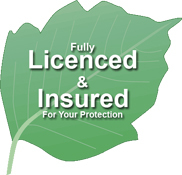 Tree Preservation for Commercial & Residential Property in the Kingston Area. To schedule a site visit to discuss preserving your trees, and to get a free estimate on your tree care projects call us at 613-376-6015. "They called the morning after I submitted the request and had tree trimmers out the next day. The work was done in a timely manner and at a reasonable price. They did not try to sell me more work than needed to be done and explained what could wait for a few more years."